Amaranthine`s stunning Deck of Cards Rose Bouquet is for that someone special who loves something a little unique. 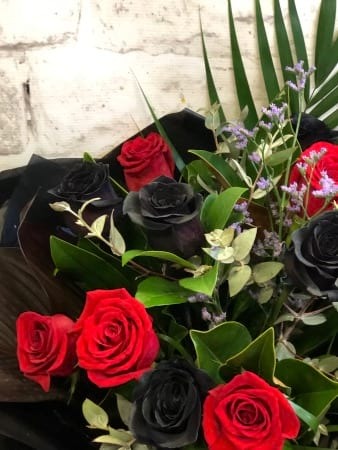 The black roses are a striking flower perfectly complimented with romantic red roses, greenery and babies breath or purple misty. This is a beautifully unique bouquet from Amaranthine Flowers By Design, New Lambton, Newcastle. Beautifully gift wrapped.